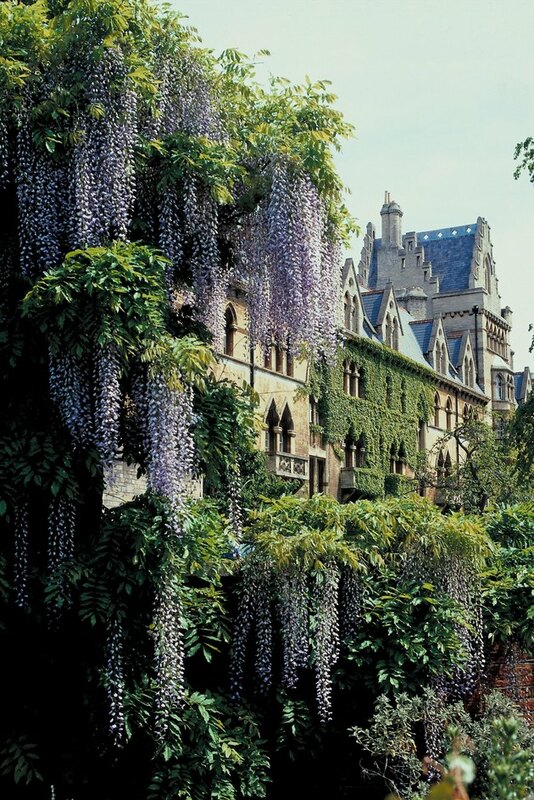 Breathtaking wisterias (Wisteria spp.) in the peak of bloom push the rest of the garden from the spotlight as their gnarled vines disappear beneath spring or summer cascades of headily fragrant blooms. Before planting a new wisteria or keeping an existing one, consider two things. Wisterias are considered invasive in some parts of their growing range across U.S. Department of Agriculture 4 through 9, and they're poisonous to people and pooches alike. Wisteria vines can cover entire houses. As naturally curious creatures, dogs take tremendous pleasure in sniffing and licking their way through the plants in their yards, gardens or neighborhoods. Even more than adult dogs, puppies define their environment with their mouths. Whether Fido is a teething toddler or sedate senior, plant poisoning is a real possibility. Wisteria vines are among the more than 700 plants toxic to him, reports the Humane Society. The American Society for the Prevention of Cruelty to Animals warns that all parts of wisterias contain two types of toxins. Like other members of the pea (Fabaceae) family, wisteria vines affix nitrogen to the soil with bacteria-combining compounds called lectins. When your dog chews wisteria seeds or pods, ingested lectins move from the stomach into the bloodstream, where they clot red blood cells. Nibbling any part of a wisteria vine also exposes your dog to the toxic glycoside wistarin. Swallowing it gives him a severe stomach ache with possible nausea, vomiting or diarrhea. In the worst case, it may dehydrate him to the point of collapse or severely depress his central nervous system. Your dog's chances of having a toxic encounter with a wisteria vine depend on a number of factors. A teething puppy that regards every plant as a potential chew toy is at more risk than an older dog that is indifferent to vegetation except for an occasional nibble of grass. Your wisteria vine itself is more or less toxic, depending on the time of year, its age, health and growing conditions. 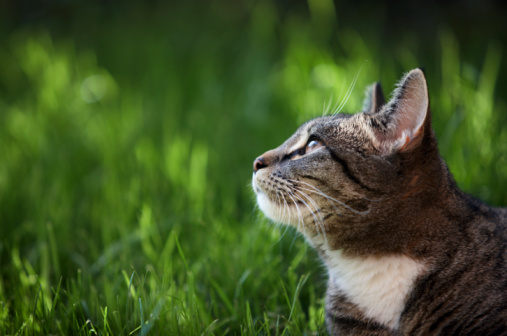 Chewing and swallowing a wisteria leaf is much less likely to give your pet problems than consuming several seeds. If you're dealing with a plant-eating pooch, the best way to prevent poisoning is to remove the vine. Barring that, remove the flowers as soon as they fade to prevent the seeds and pods from developing. If you find your dog eating any part of the wisteria, get him away from the plant and call your veterinarian, ASPCA Poison Control Center or another pet poison hotline. Don't attempt to treat him without professional guidance. Is a Sweet Potato Vine Toxic?